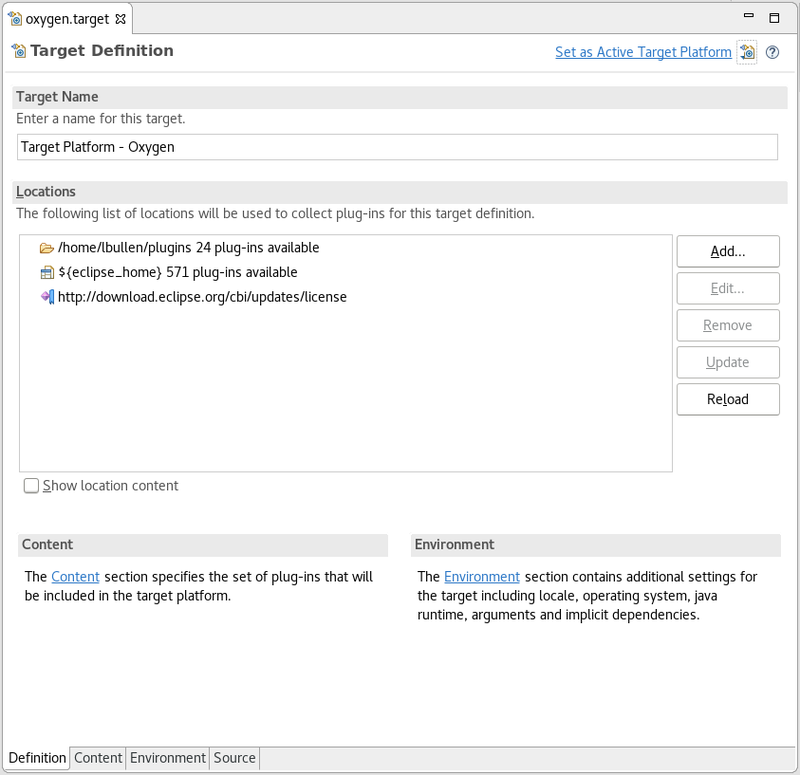 The locations in the target definition will be displayed in the list. Each type of location will have a different icon and text. If the target has been resolved the count of plug-ins will be displayed in blue (the number of plug-ins included from the content page and the total number of plug-ins found. If there are problems resolving the target, they will be displayed underneath the location with the problem. The Show Plug-in Content option can be turned on to display the included plug-ins underneath each location. Pressing Add will open the Add Location Wizard. It will provide a choice of location types to add. Selecting a location and pressing Edit will open a location type specific wizard to view and modify the location.